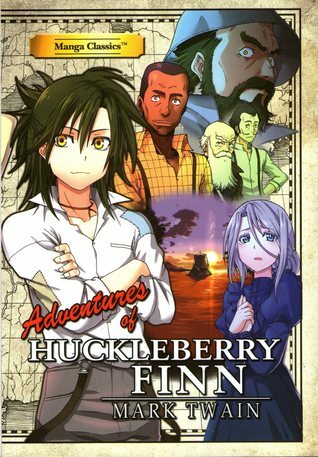 A wonderful adaptation of Mark Twain’s Adventure of Huckleberry Finn into manga form! I think the authors and illustrators did an excellent job of condensing the story into a small volume without losing the integrity or flavor of the story. I love how the various accents of the characters are preserved, but the dialogue is still clear and easily understood. The artwork brings a lot of emotion into the story, and firmly connects the reader to the characters. Seeing the expressions on character’s faces as they experience joy, grief, fear, sadness, or relief, made me feel those things too as I was reading! This book, of course, deals with many difficult topics like slavery, and the skewed moral code that Huck has been exposed to. Seeing Huck grappling with his conscience, and trying to determine what is “right” is what makes this story such a classic. I thought this adaptation did a superb job of showing Huck’s internal struggle between what “civilized society” tells him is right, and what his heart tells him is true and right. Beautiful manga of this favorite classic!